I hit a major milestone in my CD collection in 2015 – breaking through the one thousand album mark (with the slight caveat that that figure includes four duplicates – more on that later). This was achieved through that fact that I bought, or had given, a massive 132 albums during the year, up 72 on 2014 and, by far, the highest number I have ever bought in a single year. Those additions came from just five sources – 77 from HMV, 31 received as Christmas or birthday presents, 14 bought at gigs, 9 free with Prog magazine and 1 (an impulse buy) from a well-known supermarket. That means, for the second year running, I bought no albums from internet sources. I find that I genuinely enjoy spending at HMV these days, sometimes knowing exactly which new releases I am heading there to pick up but mostly just browsing and picking up back catalogue items that catch my eye. It does, however, mean that I have missed out on some highly regarded 2015 releases – for example Karnataka’s Secrets Of Angels and Chantel McGregor’s Lose Control, along with others from smaller bands who aren’t available in HMV and will probably never appear live in York. This is something I consciously aim to put right in 2016. Before I go on, a quick word about EPs. Regular readers may remember that this isn’t my favourite format, mainly due to the fact that, still being a player of the physical format, I find that they are too short – you no sooner put them into the player than they finish and you have to either play them again, or get up and change them for something different. I purchased just two in 2015, one from HMV and one at a gig. The latter – Everlate’s Vitals – was the only 2015 release and, in fact, the only locally released music I bought during the whole of the year. Away from those, the majority of purchases were (again) prog rock in its various guises and general rock, but there were also representatives of alternative rock (Kodaline and Coldplay, but not their latest release yet), 80’s pop (Nik Kershaw), hard alternative rock (The Last Internationale), acoustic (Luna Rossa), pop rock (Stevie Nicks and Emma Stevens) and blues rock (Dan Patlansky). I don’t believe I managed to complete and major bands’ back catalogues in 2015, although I did bring my Genesis requirements down to just one. We Will Reign – The Last Internationale. An all-too-brief and yet powerful slice of protest rock which would easily have been in my top five for 2014 if I had come across it in that year. Waves – Emma Stevens. Another nice pop-rock album from a fantastic singer-songwriter and lovely person. Again, this would have been high in my list if I had bought it in 2014. Music For Insomniacs – Matt Berry. Perhaps better known for his comedy, Berry’s 2014 release contains just two tracks, both over twenty three minutes long. Of course it’s prog, but it’s also very easy to listen to. Biggest disappointments were Colors by Between The Buried And Me and a three album set from Dream Theater vocalist James LaBrie – both are musically (better than) good but both contain way too much in the way of “cookie monster” vocals for my tastes. Of the 2015-released albums that I bought, one is a re-issue – Fine Days, a three album set from Anathema – and one is a “Best Of” – Status Quo’s Accept No Substitute. Taking out those that came free with magazines, that leaves fourteen new releases, all studio albums. I could have sworn it would be more and there must be so many that I have heard of that I haven’t bought yet, for some reason – I’ve already mentioned Karnataka, Chantel McGregor and Coldplay, but others include Nerina Pallot, Martin Turner, Anathema, ELO, Panic Room and another live album from Mostly Autumn. So, to my top ten albums for the year. Having bought just fourteen, it almost seems churlish to leave out four, especially since there isn’t really a duff album amongst them. So, in no particular order, honourable mentions go to Blackbeard’s Tea Party’s Reprobates, Drones from Muse, David Gilmour’s Rattle That Lock and Hawklords’ R:Evolution. As I say, none of them are particularly bad – in fact I was surprised how much I enjoyed the Hawklords album, given how disappointed I was with their previous release – but they are all albums that I find I need to be in a certain mood to listen to. As usual, the criteria for picking my top ten is simply how an album makes me feel when listening to it, even immediately or after multiple plays. I’m not knowledgeable enough about production values or song-writing to be able to be able to comment on those aspects and I don’t care about how an album progresses a band’s career or sound. The following ten have been picked as the albums I would be most likely to listen to. Generally I find it difficult to rank the albums from ten to one, but I must be getting better as this year I have a definite order for my top five. I’m going to say the other five are equally as good, just to avoid having to think about it any more, and they are presented in alphabetical order. Kodaline – Coming Up For Air. Not much to say about this second release from the Irish indie rocks, apart from that I enjoyed it much more than their, admittedly good, debut. To me, it’s a bit more immediate and catchy. Lonely Robot – Please Come Home. Former It Bites frontman (as well as guitarist for a number of other bands) John Mitchell gathered an array of guest stars for his latest project’s release and it took me slightly by surprise. Heavier than I expected in places, but never unnecessarily so, it’s an often atmospheric piece of prog rock. If it has a concept behind it, I have yet to work it out, but it is reminiscent of SF soundtracks, which gets it extra points from me. Steve Hackett – Wolflight. To me, this knocks spots off the other 2015 prog-rock-veteran-releases-new-solo-album. Mind you, it might have helped that I saw some of the tracks played live. Steve Rothery – The Ghosts Of Pripyat. I don’t have many instrumental albums in my collection, but this is one of the best. Von Hertzen Brothers – New Day Rising. This one didn’t hit me with the immediacy of their previous release. Still a good album and a few more listens may well have propelled it further up in this list, given time. 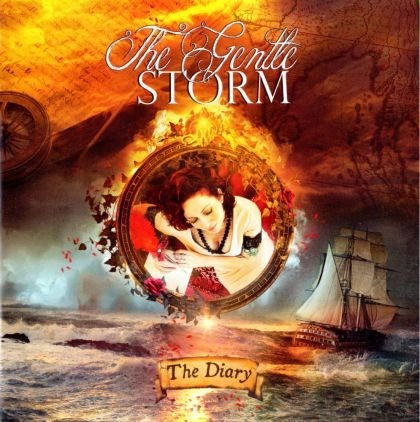 5:- The Gentle Storm – The Diary. Strangely the two discs of this double album contain the same songs, telling the love story of a Dutch couple in the form or letters between them as the husband is an officer sailing with the Dutch East India Company, the responses between the two often being months apart due to the vagaries of sea travel. It’s a bitter-sweet story that ends with the wife’s death and the husband’s first meeting with his son, born while he was away at sea. The difference between the two discs is that one is acoustic (gentle) and the other heavy metal (storm). Personally, I prefer the acoustic disc as it showcases singer Anneke Van Giersbergen’s lovely vocals. 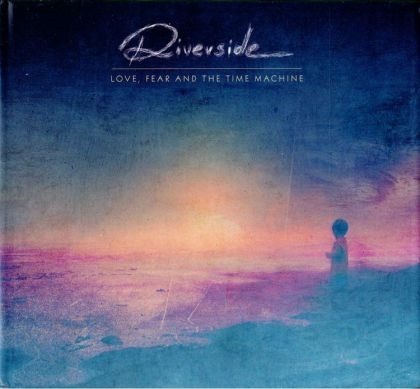 4:- Riverside – Love, Fear And The Time Machine. This is my first experience of Riverside, a Polish prog-rock band and I put the album on my birthday list, after hearing good things about it, only vaguely expecting to receive it and definitely not expecting to get it from my Mum, who won’t shop on-line. I’m not sure how it stacks up against their other releases, but this one grabbed me from the first listen and, for a time, was rarely out of my CD player. Melodic and atmospheric and yet, at times, more catchy, it is pretty much everything I look for in an album and I will definitely be checking out more by Riverside on the basis of this album. 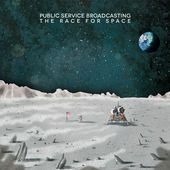 3:- Public Service Broadcasting – The Race For Space. Although being touted in prog-rock circles, PSB could just as easily be described as “electro pop rock”. Previous releases and live shows saw the boys matching music to old public service films or broadcasts, including war speeches and WH Auden’s This Is The Night Mail. The Race For Space, in my opinion, took this idea and turned it into a concept as they married their sounds to broadcasts related to both the US and USSR’s space programs. The highlight for me is The Other Side, during which I found myself holding my breath as Mission Control waited to regain the signal from Apollo 8 as it passed behind the moon, but the more upbeat Gagarin, the atmospheric E.V.A. and the incredibly sombre Fire In The Cockpit are almost as good. Mixing great music with a subject I have always been interested in meant that it was inevitable that this release would feature highly in my albums of the year. 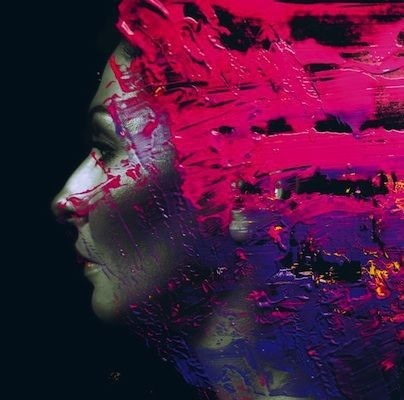 2:- Steven Wilson – Hand. Cannot. Erase. There’s an incredibly sad story behind this album, as it is based on the true story of a young woman living in a large city who dies in her home and yet, despite having family and friends, is not missed for three years. At times it oozes sadness, but is never off-putting. Overall the album and its concept are an immersive experience – moving.meaningful and beautiful, it can be listened to as background music but is much more rewarding if you give it your full attention. 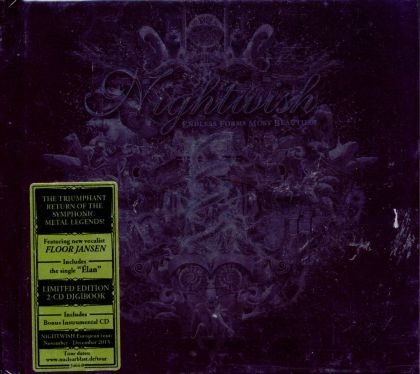 1:- Nightwish – Endless Forms Most Beautiful. Bombastic, at times over the top and often completely bonkers, the eighth album by the Finnish proponents of symphonic metal is a whole load of fun. Varying from the radio-friendly single Elan to the vigour of the likes of the title track and The Greatest Show On Earth, it is a mixed bag that really works. Inspired by Darwin and featuring quotations from Richard Dawkins, it perhaps comes across as a bit profound and intellectual but, for me, that doesn’t detract from the music, or the superb vocals – new frontwoman Floor Jansen shows great range, wiping the (ahem…) floor with many other female vocalists. Well I caught up with the blog eventually and having listened to 1 track on Nightwish – ‘Endless Forms Most Beautiful’ have bought the album.